Facebook marketing company Buddy Media just announced a slew of new hires, plucking people from IAC, Google, and Collective.Buddy Media just raised $28 million in funding. Investing some of that in new people seems like a smart move. Jennifer brings expansive sales and media industry experience to Buddy Media where she oversees Media Solutions. Prior to joining Buddy Media, Jennifer started and managed the New York Sales team at Collective. Jennifer was the top grossing salesperson at Collective for the past five years. She also helped open company’s UK office. In 2008, she received the company’s “Collective Cup” award. Jennifer graduated from the University of Arizona, Tucson and received her degree in Creative Writing. David brings vast experience in content and business development and will oversee sales across its lifestyle business with verticals such as retail, fashion, healthcare, real estate and beauty services. 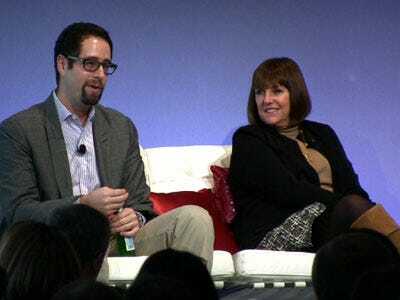 Prior to Buddy Media, he led Content Development and Acquisition Strategy for the Branded Entertainment team at Google, Inc. David also was the Team Manager of Publisher Solutions at Google, Inc. working with major partners such as Hearst, Bloomberg/Business Week, Martha Stewart and Conde Nast Digital. Jed brings 17 years of experience in the entertainment industry to Buddy Media where he will lead sales efforts for movie studios, music labels, production companies, and artist representation and management. Jed joins Buddy Media from InterActivCorp (IAC) (NasdaqGS: IACI), where he oversaw business development for Instant Action, a gaming company focused around 3D gaming with a major social component. He began his career in entertainment at SNL and Late Night with Conan O’Brien as an assistant to Lorne Michaels. For the past seventeen years he has managed and represented many of Hollywood’s top entertainers and artists. Jed lives with his wife and daughter in New York City. He is a graduate of Georgetown University. Tami Dalley comes to Buddy Media with expansive analysis experience. Prior to Buddy Media she was Director of Analytics at and User Experience Optimization at ROI Labs. Prior to that she was a Senior Interactive Analyst and Marketing at Acronym Media. Her work was honored with the Search Engine Strategies Award for “Most Effective Use of Web Analytics” and an HSMAI Gold Arian Award for “Outstanding Search Marketing Strategy”. Tami is also a noted industry thought-leader and has spoken at events such as Search Engine Strategies, Search Marketing Expo, Web 2.0 Expo and Conversion Conference, among others. Tami is originally from Australia and has been to more than 40 countries. She attended college in Australia and studied psychology.